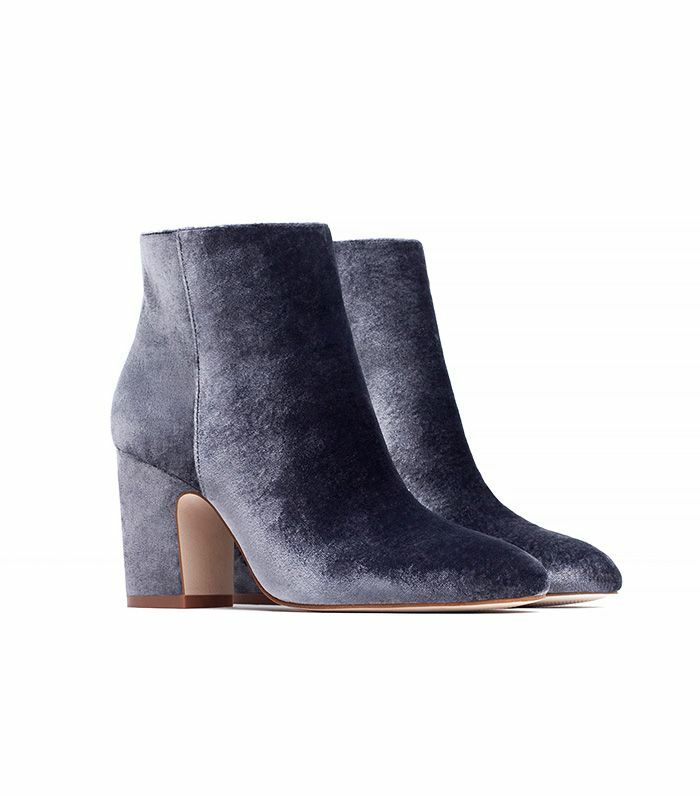 While perusing Zara’s latest crop of new arrivals (per usual), there was one item that we knew we had to purchase without hesitation—a pair of grayish blue velvet ankle boots with the most perfectly shaped heel. When we saw the price, we were even happier about our guilt-free purchase. These on-trend stunners will pair perfectly with fall’s romantic Victorian looks, and if you really want them to take center stage, pair them with an all-black outfit. Zara has a plethora of ankle boots that we’d happily add to our closets this fall, but this sumptuous pair undoubtedly takes the cake. Scroll down to shop the Zara boots and a few of our other favorite velvet boots on the market! Would you wear velvet boots? Tell us in the comments below!